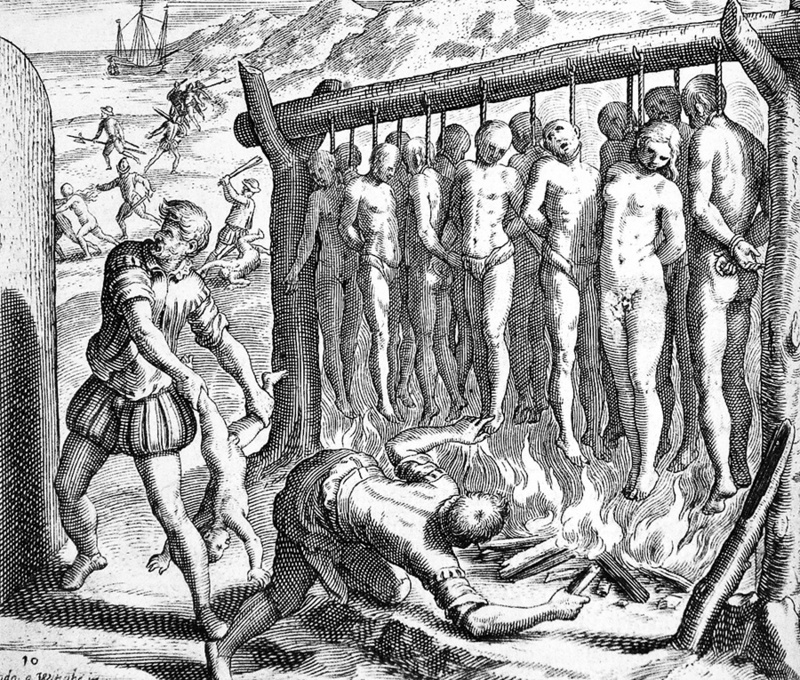 Atrocities by white Christian imperialists against native peoples in Latin America. We have read all the major holy books of the world. More than any other such book, the Christian Bible contains very specific endorsements of the most violent and bloody campaigns of genocide. We certainly don't suggest that all Christians today favor genocide but the problems with the Bible remain. These quotes were directly used by Christians in history for both the slave trade against Africans and the conquest of North and South America by white Christians. "You must destroy all the peoples the LORD your God gives over to you. Do not look on them with pity and do not serve their gods, for that will be a snare to you." Deuteronomy 7:16. "I will send my terror ahead of you and throw into confusion every nation you encounter. I will make all your enemies turn their backs and run" Exodus 23:27. "This very day I will begin to put the terror and fear of you on all the nations under heaven. They will hear reports of you and will tremble and be in anguish because of you." Deuteronomy 2:25.